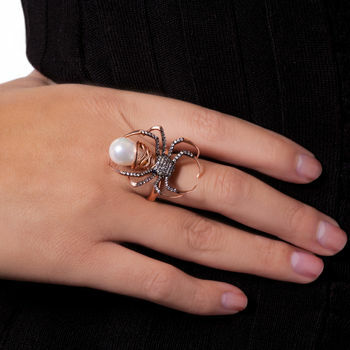 Black Widow Spider Ring - Spider Rose Gold Ring - Yikes! Yikes! This is one bad mama! This giant black widow is going to create some major excitement. Measuring about 1.5" long with a big synthetic pearl and long legs ready to climb! 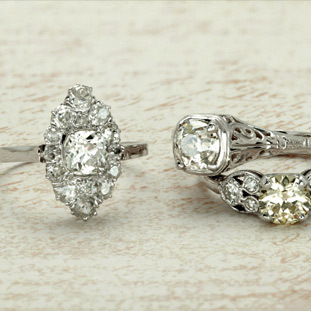 Set with white czs and black rhodium plated to make the gems really pop. The ring is made of sterling silver and rose gold vermeil. 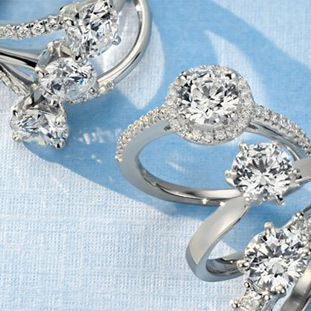 You will love this ring. Never a dull moment when you are wearing the Black Widow!